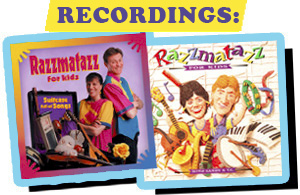 RAZZMATAZZ has delighted children with their interactive French and bilingual concerts in Nova Scotia, New Brunswick, Prince Edward Island, Ontario and Louisiana. Thomas Cormier, a French-speaking “Acadien” from New Brunswick and Sandy Greenberg, who has studied French extensively, sing traditional and contemporary songs in French, backed up by guitar, harmonica and percussion. The introductions to the French songs can be in English, and English songs can also be performed in the same concert. 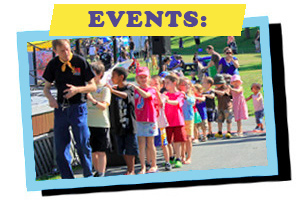 –Kim Nadeau, Principal, École Beaufort, Halifax, Nova Scotia.